Welcome to 636 Gervais Terrace! 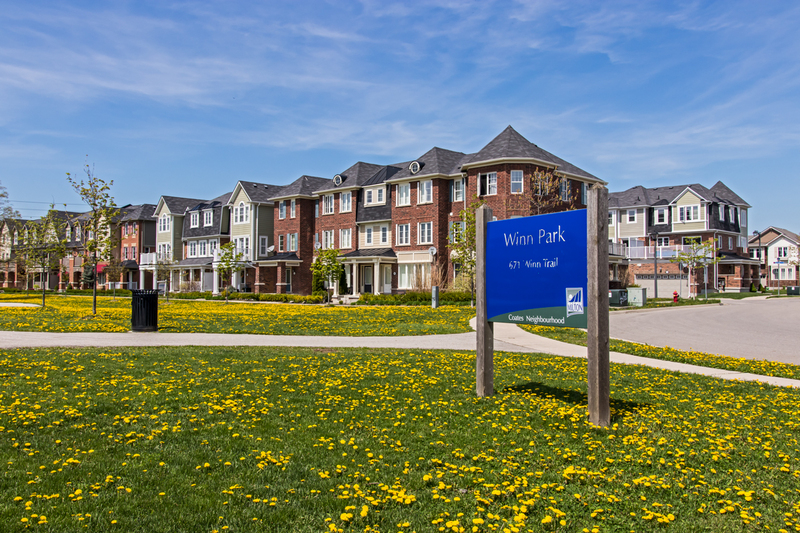 This stunning Mattamy built Rothmill model is located steps from parks, schools, restaurants, GO and Public Transit. 2 Car garage, Main Floor Office or Family Room, Upgraded Kitchen with stainless steel appliances and hardwood floors throughout, California shutters and much more. This gorgeous home is not to be missed ! Off the large entry, you will find a large, bright room, perfect for a home office or separate family room. Coffered ceilings, new hand scraped hardwood floors, pot lights, crown mouldings and California shutters. Main floor laundry and interior garage access to a large 2 car garage with opener and plenty of storage. Upstairs, the large family sized eat in kitchen offers stunning dark cabinets, Corian countertops, stainless steel appliances, glass tile backsplash, under-mount lighting, separate island with breakfast bar and a butler's pantry. 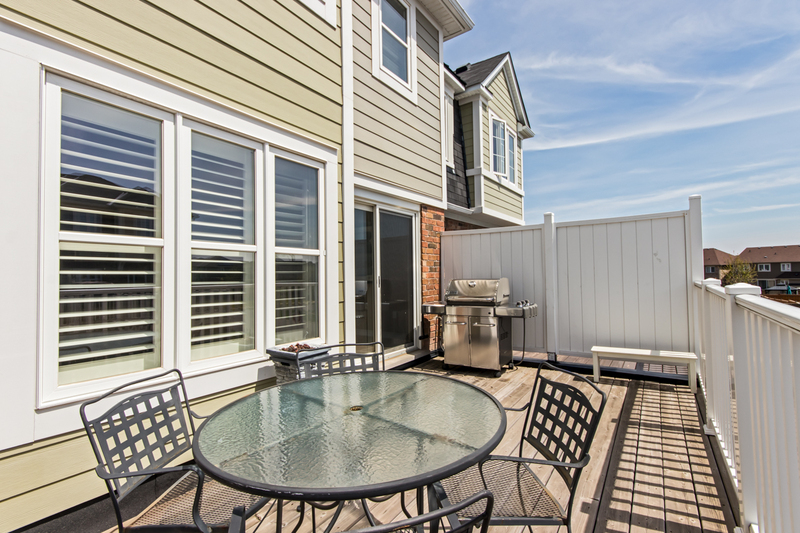 Walk out to large deck with natural gas BBQ line and plenty of space for entertaining. Stunning open concept great room with huge window, pot lights, hardwood floors, California shutters, and crown moulding. This bright space is perfect for quiet enjoyment overlooking the kitchen and with walk out to large deck. Down the hall is the separate dining room with walk out to second balcony, pot lights, crown mouldings and huge windows overlooking the front. Separate living and dining room with butler's pantry pass through to Kitchen and walk out to a second Balcony. 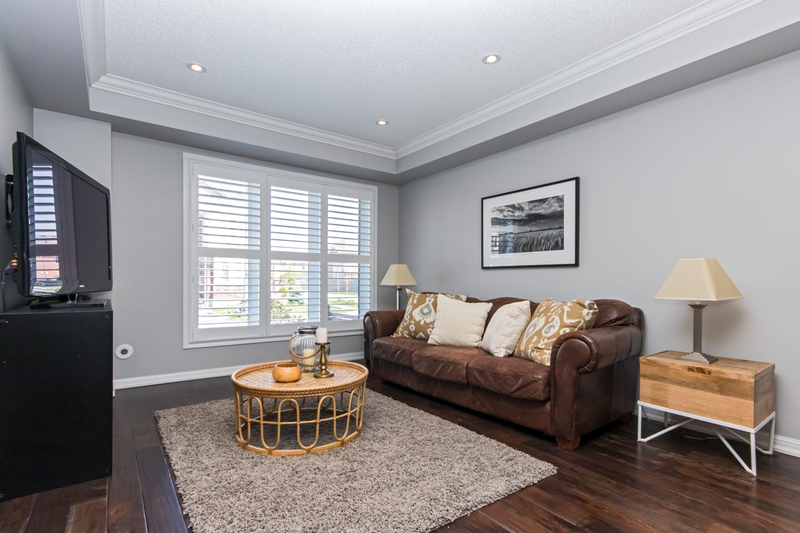 This space offers tons of natural light, hardwood floors, crown moulding and upgraded lighting. 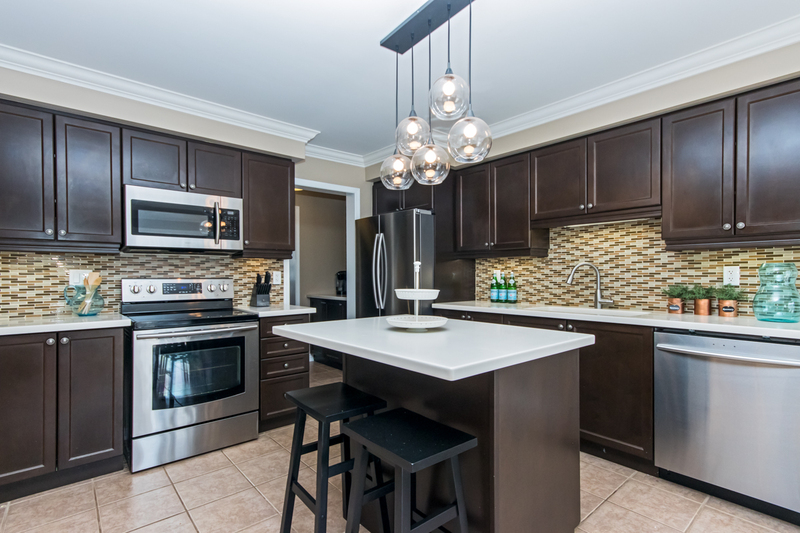 This large space offers plenty of space for entertaining and family meals. 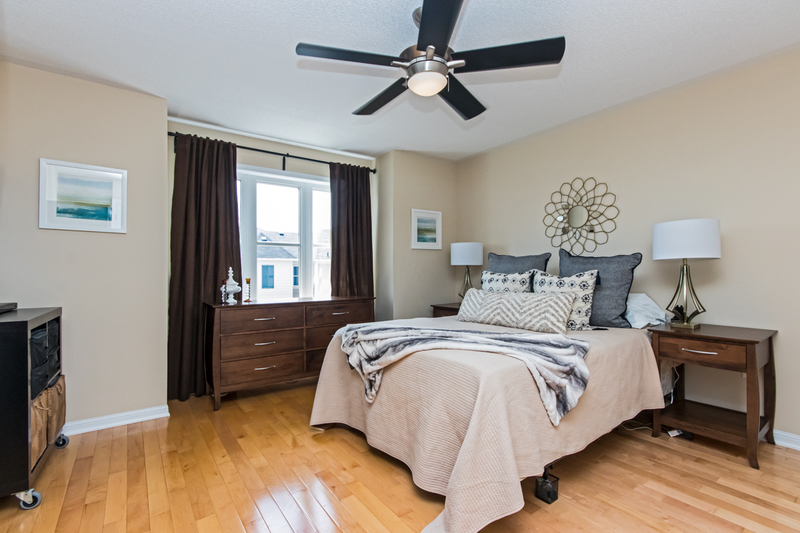 Large Master suite offers large walk in closet and 3 pc ensuite with walk in shower, large window brings in tons of natural light. Two additional spacious bedrooms and 4 piece Main Bathroom, complete the space. 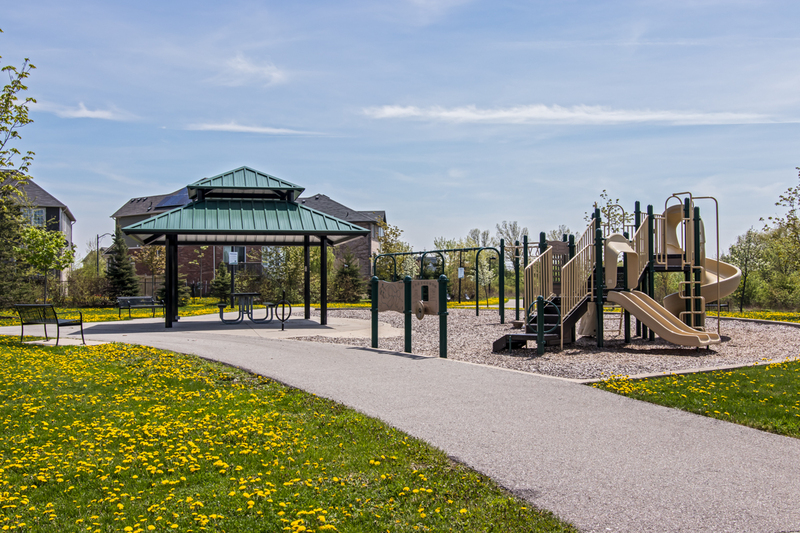 Steps to huge Coates neighbourhood park, splash pads and sports fields, and playground at nearby Winn Park. 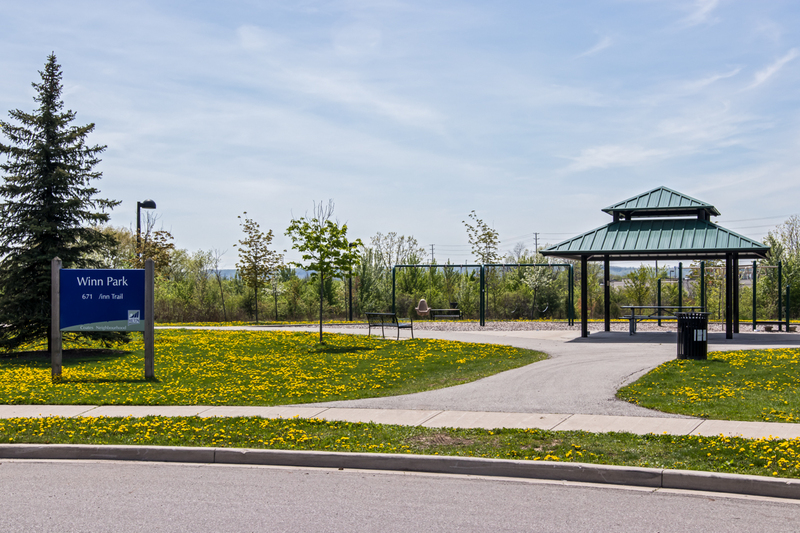 Steps to huge shopping plaza, including Food Basics, Banks, Medical clinics, Restaurants, Tim Horton's, shops and much more.